For Mother's Day, my mother and I happened to be together! Since she lives overseas, this is a rare occurrence. Our family took the opportunity to go on a picnic together and break out the picnic set Jacob and I got as a wedding present and have never used. 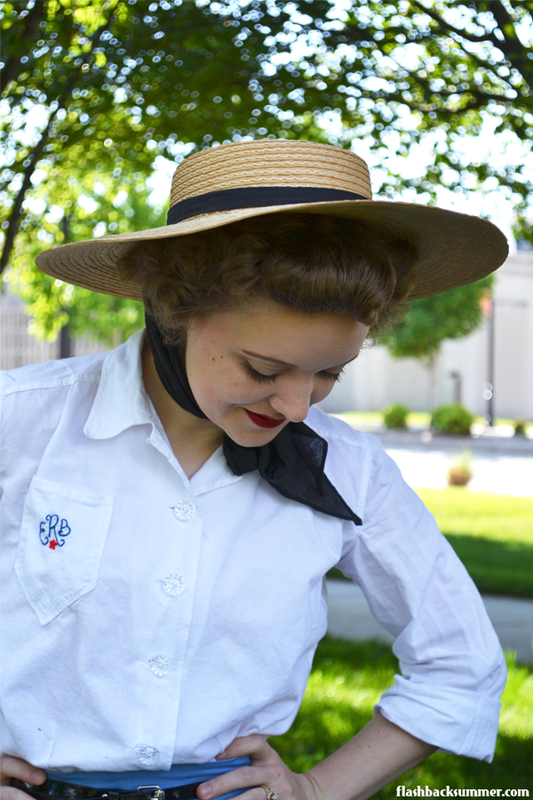 I threw on some comfy, light summer clothing: late 1930s/early 40s shorts, a white cotton blouse, and a giant straw hat I recently found in a flea market. 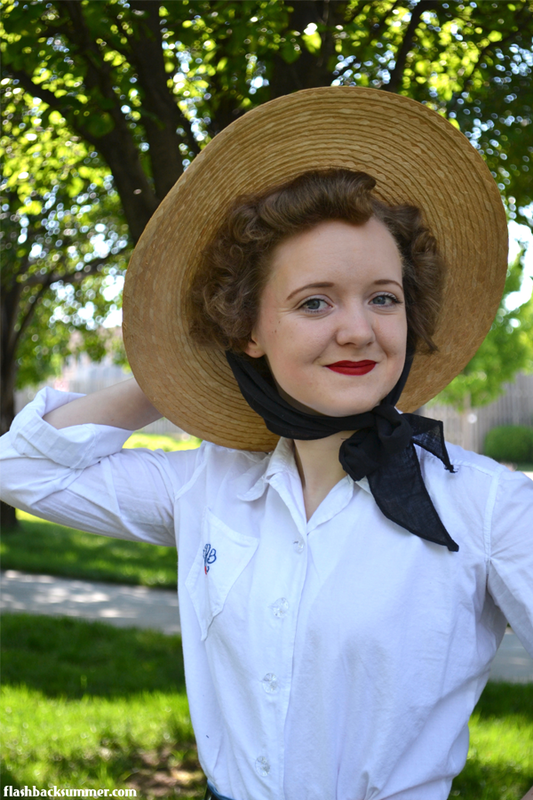 I'm not sure how old it is, but a straw hat is a pretty timeless piece. I kind of do, haha! 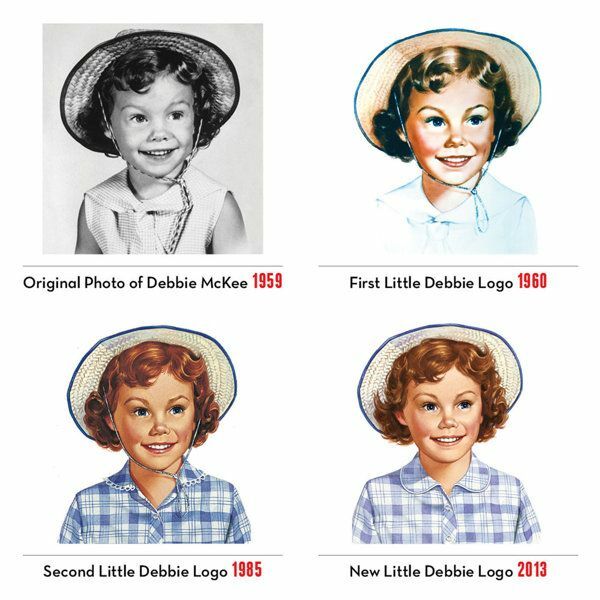 Haha, you are like grown-up Debbie! Love those shorts. 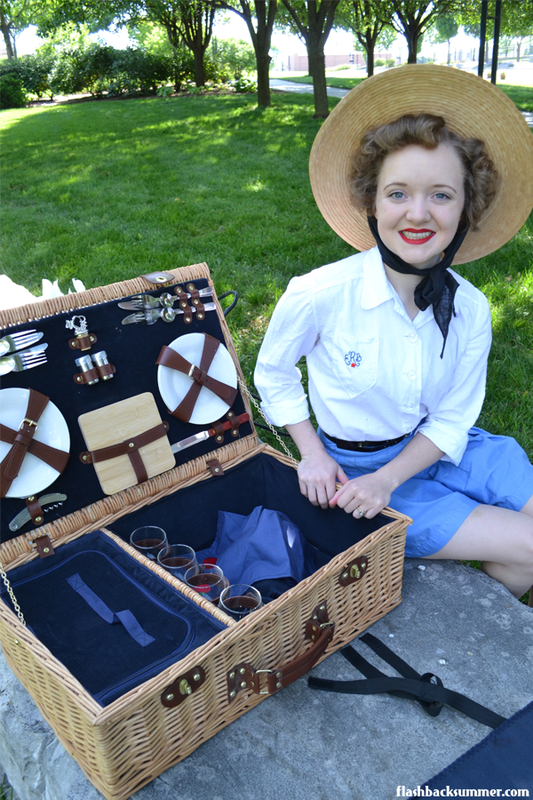 You look so pretty and picnic-ready! Those shorts are the cutest!! You look so adorable! !I love those shorts, they are amazing. And glad you got to be with your mom for mother's day! That's so great. You do! And it is so cute! You are too cute. 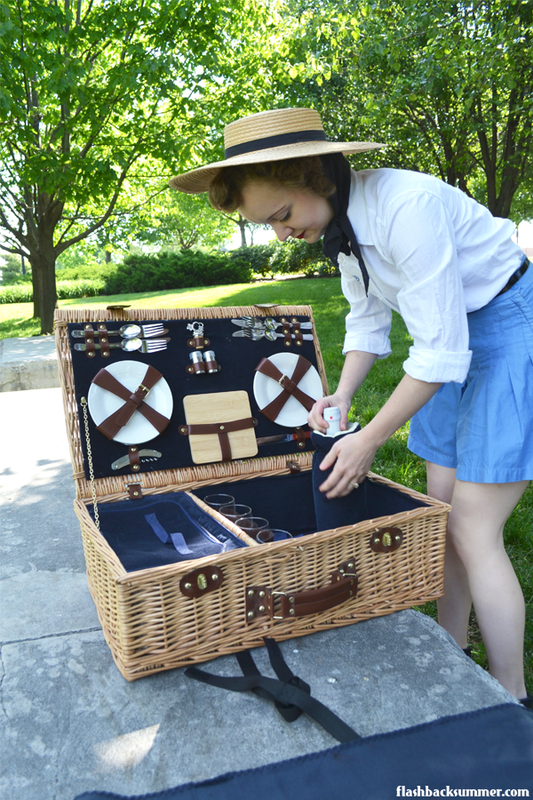 :) Summer time means picnic time!! 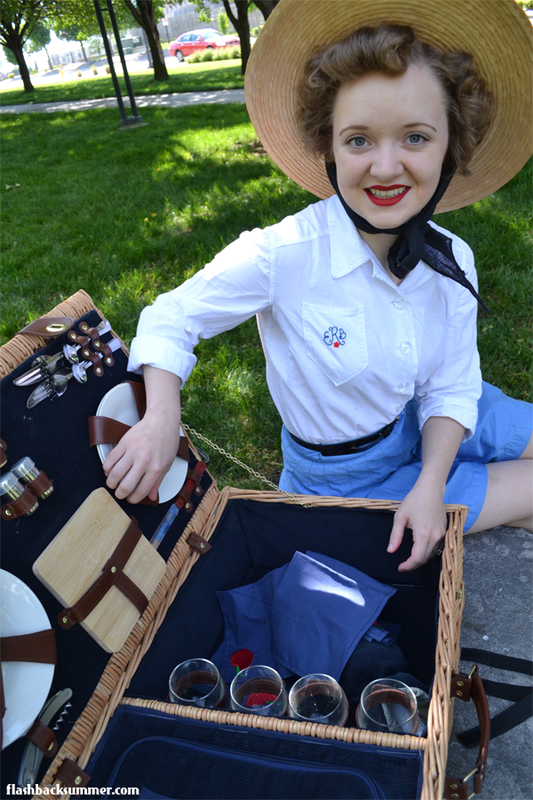 Cori and I are heading to an Art Deco event soon and part of the event includes a picnic. Can't wait! That's a fantastic basket too, what a great wedding gift! 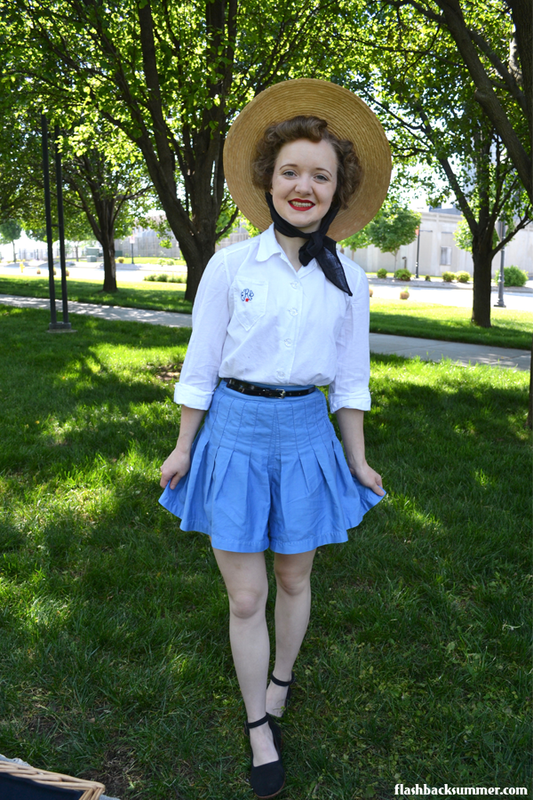 Adorable outfit! 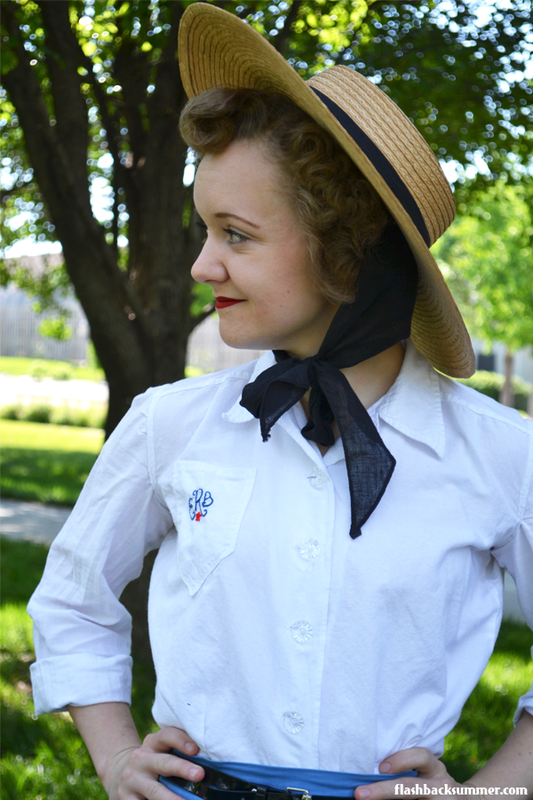 I just love all the elegant details on your blouse. How wonderful that you and your mom were able to celebrate Mother's Day together.